GQ Fashion Eye was impressed with how Will wore his suit and Tatler Bystander has a lovely gallery from the Opening Night party of Wind in the Willows at The Duchess Theatre last Monday evening. 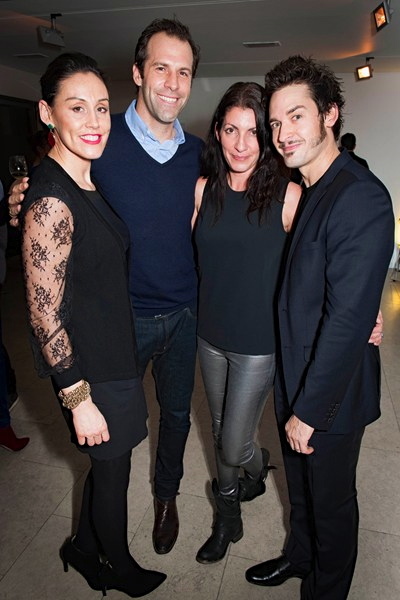 Several Celebrities came out to show support too as Will can be seen with good friends Greg and Lucy Rusedski along with his wife Gaby. This entry was posted on Wednesday, December 18th, 2013 at 9:20 am	and is filed under Press, Uncategorized, Willows. You can follow any responses to this entry through the RSS 2.0 feed. Both comments and pings are currently closed.